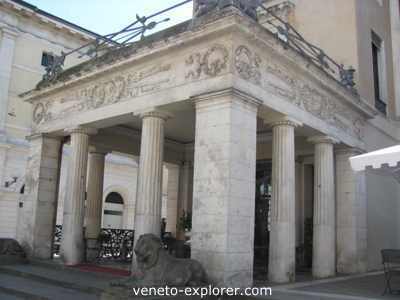 lets you know when I send out the Veneto Explorer e-zine (in case you don't like to give your e-mail address, or if your ISP tends to over-filter causing you to miss an issue). 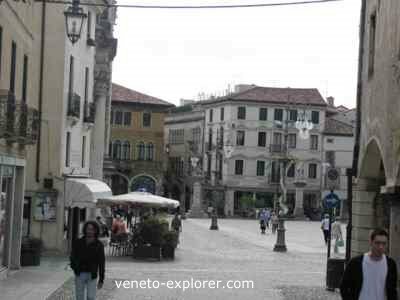 Continue reading "Padua Attractions: Things to see in the Veneto Town, like Scrovegni Chapel"
Continue reading "Lake Garda Italy: Enjoy the Big and Picturesque Lake of Veneto"
Venice Italy Tourism: all the info you need, getting discount cards, transports, Venice tourist board info, useful websites, etc. Continue reading "Venice Italy Tourism: All the Venice Tourist Information you need "
Continue reading "Bassano del Grappa Italy, the Medieval Town of Veneto with the Palladio Bridge"
Continue reading "Castelfranco Veneto, One of the Beautiful Medieval Walled Cities of Veneto,Italy"
Continue reading "The Best Italian Wine as rated by Wine Experts and Personal Taste. "